Seven Seas is a budget hotel located right across the Clubside Taxi Stand (next to Gandhi Road Police Point). The hotel actually stands on a narrow downhill lane and few steps below the main road. The Chowrasta Mall is only 4-5 minutes of leisure walk from the hotel. 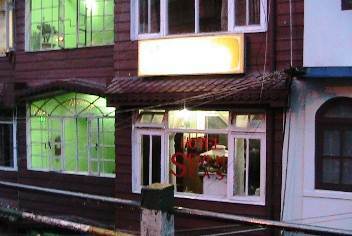 The property is owned by a Chinese person Mr. C. Ying Chung who has been a local resident of Darjeeling since long. The front Desk, which is located at a level above the base of the hotel is managed by his friend and a mid aged person Mr. Karthak. I have seen how this hotel has gone through a major transformation in the recent past. I had stayed in Seven Seas couple of times. The first time I had no reservation and when the taxi from the airport dropped me at the Clubside Taxi Stand, I looked around and noticed this hotel. 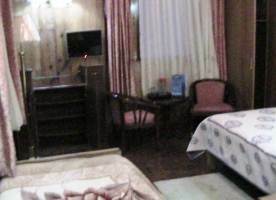 Knowing that it was a premier location right below the Keventer's and overlooking the Nehru Road, I walked down to the hotel and found a small nice room facing the valley behind. The room was fairly clean, and there was hot water in the bathroom in the morning hours. The only irritant was a noisy private gym at the top floor playing loud music that would wake you up early in the morning. But overall I must say that I had a pleasant stay the first time I put up in the hotel several years back. After a couple of years I came back with a friend and stayed in the same room. To my horror, this time the hotel had become a filthy place having had virtually no maintenance since my last visit. The room was unclean, the walls damped all over, and service pathetic. I figured out that all this happened while the property was leased out to another person. The Chinese owner decided not to extend the lease any further. As is the case with most of the leased properties, one who takes up a hotel on lease, hardly does any maintenance in order to maximize on profits. And if the lease is coming to an end, maintenance stops completely. 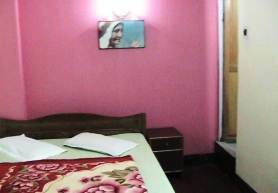 In this case, it was Mr. Bacchu Biswas who was running the hotel on lease. He also runs Hotel Chankay on lease as well. Karthak, the present manager mentioned that the owner decided to take over the property and run it himself after seeing the kind of treatment the property went through. I must say that the hotel has been grossly transformed since then. It has gone through major restructuring and renovations. The rooms have been tastefully revamped, they now have modern amenities, the private gym has gone and a lobby has come up in its place. The gym however had its own story. Karthak mentioned that in 2004 when a Hindi film was being shot in Darjeeling, the film star Sharukh Khan once used this gym. There are 24 rooms of different categories including Standard, Deluxe, Super Deluxe etc that are laid out across three floors. Some Super Deluxe rooms have three beds, quite large and great for families. 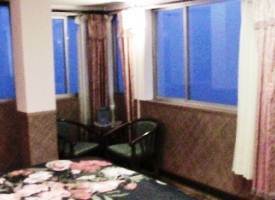 Most of the standard rooms are road facing and overlooking the Nehru Road that leads to the Mall. You are likely to get a lot of noise in the standard rooms coming mostly from the traffic in the main road. The view rooms are at the back side. My favorite is room no. SD3 (Super Deluxe 3) that has large windows on two sides and opening out to the great view of the valley and mountain range. SD1 is also equally great. SD6 is triple bedded room. 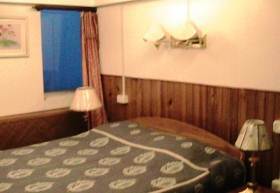 Most of the Super Deluxe rooms have been wood paneled and some with slanted ceilings to give a classy look. 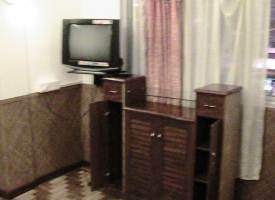 All rooms have color TV with cable channels, intercom phones with STD/ISD facility, cupboards etc. You can also get VCD/DVD in the room on request. Imported coir mattresses have been used in most of the deluxe and super deluxe rooms. Karthak mentoned that they imported the stuff mostly from Thailand. The hotel also provides small room heaters on request at additional charge. You get complimentary bed tea. The bathrooms are of Western Style and have shower mixers and geysers for hot and cold water. The geysers work in the morning hours and if the main power is available. However, they switch on the geyser beyond the scheduled hours as well if you make a request. Other amenities in the hotel includes 24-hours front desk and room service, travel desk, car rentals, laundry service, free wi-fi (wireless internet access) at the common area, arrangement of car parking, luggage storage etc. The hotel is very conveniently located at the base of Nehru road, across the taxi stand and only 4-5 minutes walk from the mall. Although the area around in noisy, the backside rooms are far quieter and have lovely views. All the great restaurants and shops are within stones throw distance. The hotel has undergone a recent transformation and major renovation. All the rooms are new and done up well. It's a good value for money now if you are looking for well furnished comfortable rooms in a convenient location and at a budget price. High-end rooms are expensive though. They will need to work on the service aspect which does not seem to have been beefed up in tandem with the room upgrades. I would expect more persons in service than what they currently have. There is a small kitchen below the reception which does not look too good. I won't take food in the hotel other than tea or coffee. There is a steep narrow downhill lane that goes below the car park near the police point at Gandhi road. There are Bhutia stalls and other small shops on two sides of this busy lane which goes all the way down to Chowk Bazaar. Go down that lane for several yards. The entrance to Seven Seas Hotel will be on the right side. Climb up the stairs to the Reception at the first floor. 17 N.B. Singh Road, Darjeeling 734101, India. I stayed at Hotel Seven Seas, Room No: SD-3 from 18.03.2016 to 20.03.2016 and checked out on 21.03.2016. 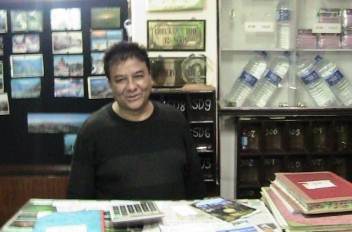 The Manager, Mr Dinesh is extremely courteous and a perfect gentleman. He rendered all help whenever required. All the staffs, especially Mr Utpal was also very nice and looked after us very well. But I think the room should be a little bit renovated. 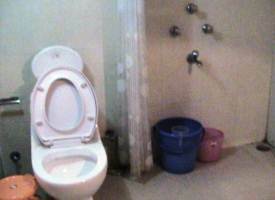 Moreover there was no window on the toilet. Room SD-3 has two side glass panes and a very beautiful view of the valley and mountain. Though the hotel is on a prime location, this room did not have any outside sound. Most of the amenities like jeep stand, Keventers , Glenary's, the mall are in stone throwing distance. Moreover, Mr Dinesh helped us in getting vehicles for site seeing as well as NJP drop. I suggest everybody to stay there.